Enjoy our family tradition of Easter celebration on Sunday, April 1st from 10:30am - 2:00pm. This is one of two brunches that Sevy's does all year! 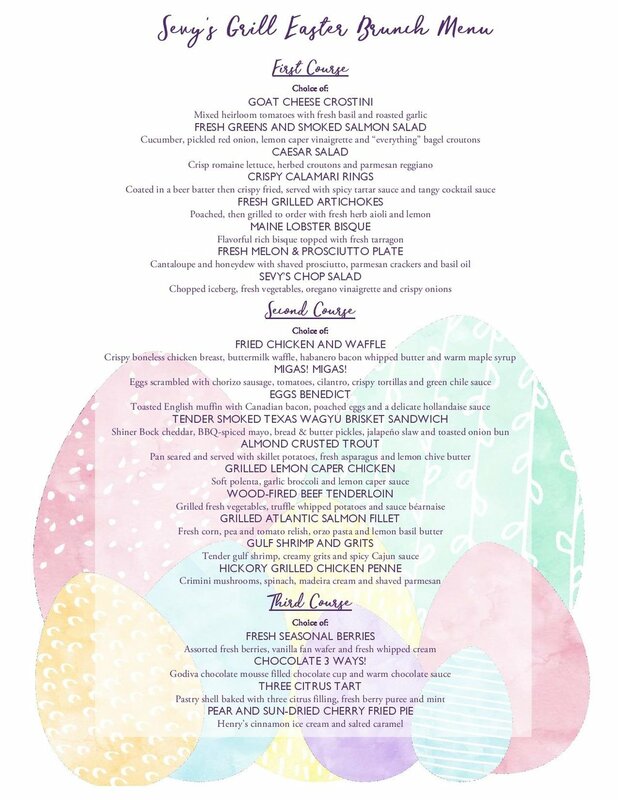 We will be featuring a Three Course Brunch with menu choices for all in each course.